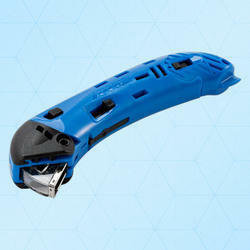 Metal Safety Knife with retractable blade for general cutting application. - Dimensions (folded): 3.4" x 2.15" x 0.08"
- Dimensions (unfolded): 5.75" x 1.5" x 0.375"
Fish 2000 Safety KnifeThe Avon™ Fish 2000 safety knife has an enclosed bladewithin a 4.7mm gap and an auto-retracting hook blade, toensure maximum user safety and to reduce accidental damage to theproduct in the carton being opened.It is suitable for both left and right-handedusers. We provide Safety knife to our clients. It is a safety device for cutting various types of material. 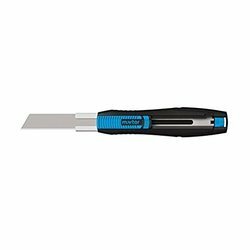 We supply all kinds of safety knife like Martor make, the safety knife make, OLFA, Klever Koncept, etc.